First you need to have an account with broadcasting permissions on site running this solution. 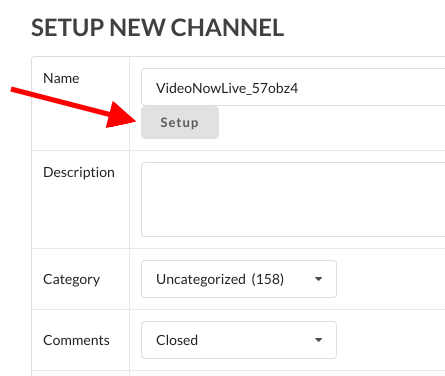 For testing, you can register on VideoNow.live . Use form to setup a new channel. 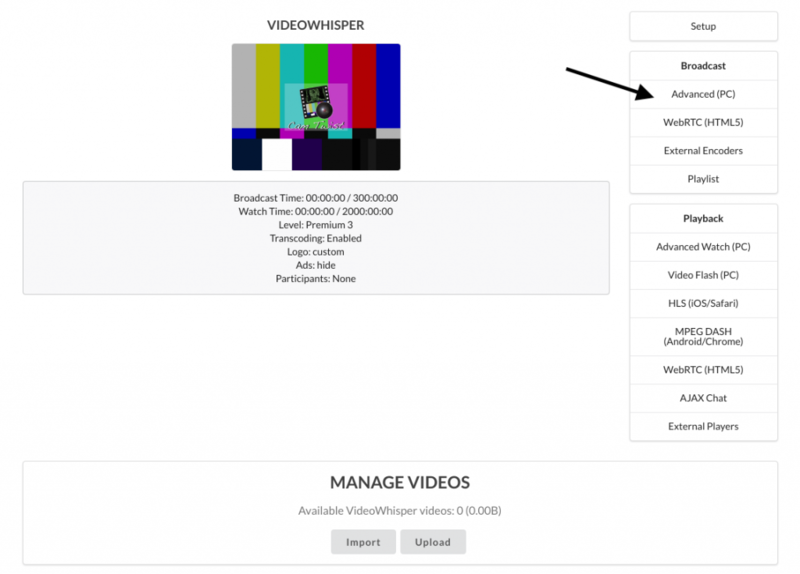 After creating at least one channel, on Broadcast Live page a menu with features will show for each channel. From Broadcast menu, click Advanced (PC) to open the advanced broadcasting interface for PC. From Broadcast Live page, for your channel, from Broadcast menu, click Advanced (PC). 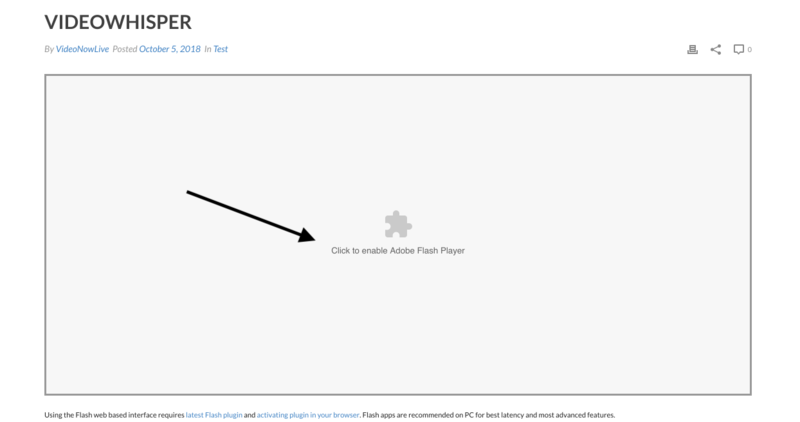 Click and enable Flash plugin to start advanced web broadcasting interface on PC. Enabled always allow for this site if prompted, so you don’t need to do this again. Then you will need to allow access to your webcam and microphone, to publish live video to website. Allow access to webcam and microphone to publish to streaming site. Allow, then Close dialog. The new live channel should show up on Channels page. Use a different new tab or browser to test. 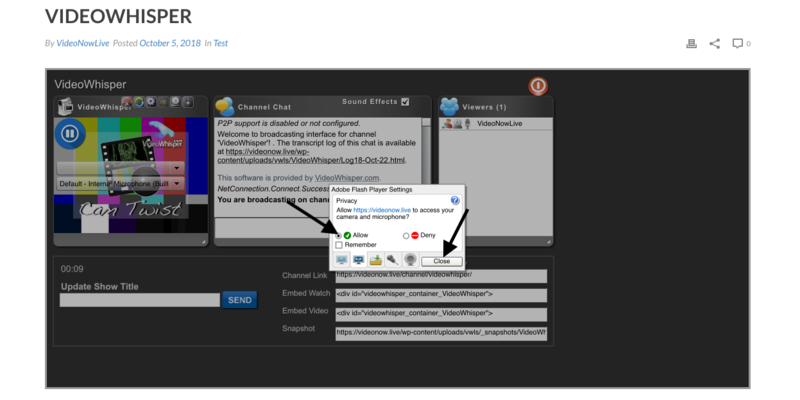 Live channels show on Channels page as LIVE. Click a LIVE channel to access live stream. 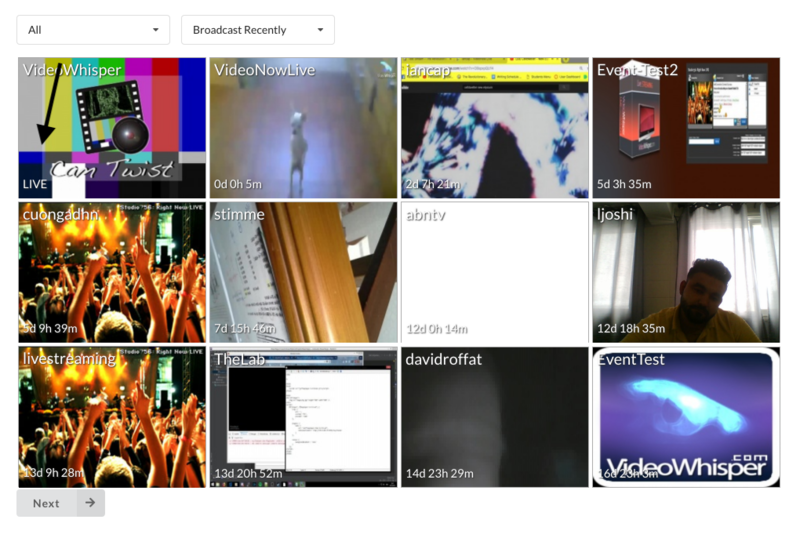 View live stream on channel page, in watch interface.